We’ve given a Victorian office building a modern makeover by replacing the existing washrooms with a modern new design as part of a comprehensive refurbishment programme. 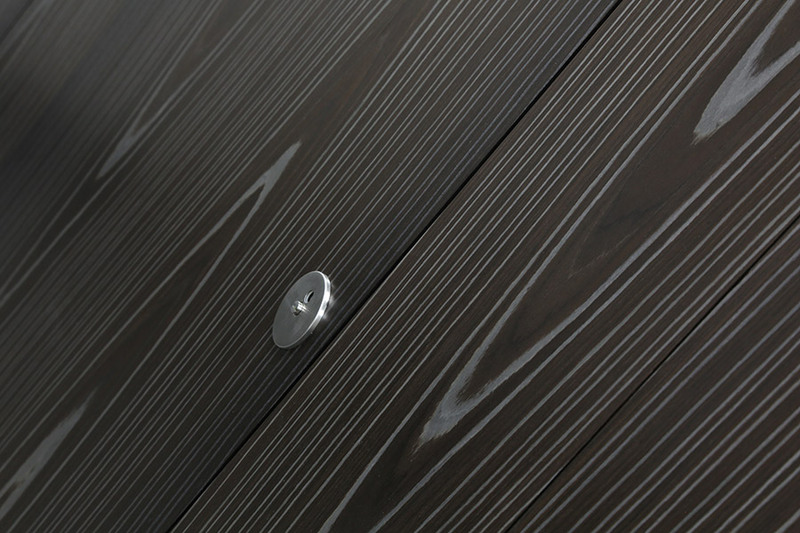 Alto toilet cubicles in a dark wood effect Engineered Veneer finish. 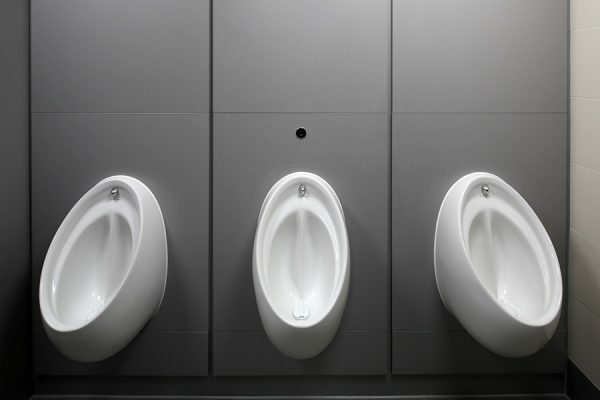 The building, which is located on the south side of London Wall and offers a number of modern office suites finished to a high specification, has retained many of its period features following the refurbishment coordinated and managed by principal contractor PDC Construction Ltd.
We designed and installed new male and female washrooms as well as disabled facilities on several floors of the building, replacing the existing washrooms with a modern new design. Our flush fronted Alto toilet cubicles, which are designed to provide a virtually seamless façade, were finished with an attractive dark wood effect Engineered Veneer to ensure a consistency of colour for each cubicle door. 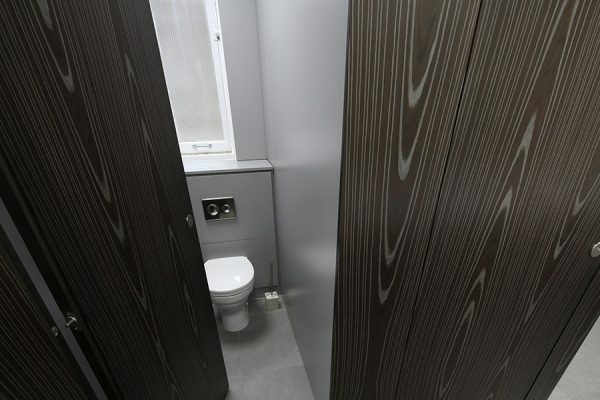 Laminated duct panels were installed behind the toilets and urinals in a soft grey colour to complement the Engineered Veneer cubicle doors and complete the high specification design. For the vanities, solid surface Corian, which is available in a wide range of colours and can be cut to any shape and joined with inconspicuous seams, was used to create the individually shaped inset sinks. 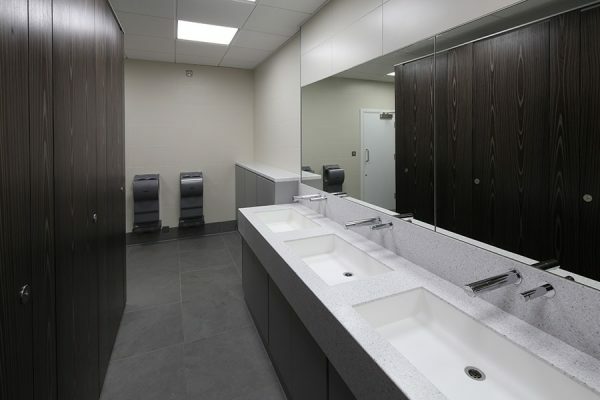 An increasingly popular choice for commercial washrooms, Corian provides a luxury finish which is highly durable, hygienic and easy to maintain – ideal for an office environment.